"The course content and the quality of teaching was excellent – so much so that I’ve been back to the college since to talk to other people on the course about how it’s benefitted me and my business." Taking a part-time domestic gas course with Derby College is enabling experienced plumber Paul Prime to grow his business. 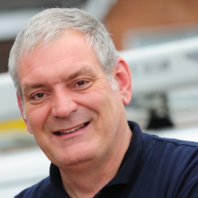 Paul, who runs Prime Plumbing Services in Ilkeston, took the evening course in order to gain Gas Safe certification – the industry’s recognised safety standard for gas central heating engineers. Holding a Gas Safe licence means Paul can now safely and legally undertake all aspects of central heating work alongside plumbing jobs. Paul’s nephew and business partner Liam, already had the certification but having two Gas Safe plumbers on their books has increased the amount of domestic and light commercial work they can take on. Paul was so impressed with the standard of teaching on his course that his firm installed an unvented cylinder at the college which can be used by students for test and inspection purposes. He is also in regular contact with his former lecturers to talk about latest changes in the plumbing and heating sector. Find out about studying part-time courses at Derby College.